Let me first take the stance that I cannot prove a case against the police for the simple reason that I am not allowed by law to conduct an investigation. The discussion herein reposed are of a meritorious allegation. The allegation I am highlighting was sent to my Facebook on Monday, April 15, by a friend to subsume my reaction. What are my reactions to the alleged robbery under arms et al of the Vilvoordeen, Essequibo Coast businessman? Firstly, the Police Commander of G Division should be given an award for sticking to the rule book and using the word “alleged”. I say this because I doubt the businessman would beat himself and traumatise his wife and sons for motive, such things are really uncommon in Guyanese society. Next, I recall seeing a video from the Commissioner of Police expanding on the aid of the general public for allowing police to access private CCTV cameras to help in the crime situation. One of the secondary motives behind this call by the Commissioner is for the crime-fighting unit to embrace technology. Now the big question for application to the case at discussion is: Why did the police not act in the tracking of the stolen phone? My apologies to the Commander of G Division for discontinuing to use the word “alleged”. So the police may not have a boat to sail behind the perpetrators that the businessman tracked to Hogg Island. Why not hire a local speed boat? Even wiser, why did the police not make contact with their counterparts on Hogg Island? This case is definitely asking too many questions than the police will be comfortable answering. 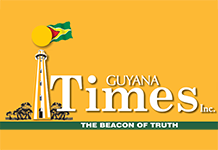 The question of men with high-powered rifles, even if not for the reason of bringing the men to justice, the police’s inaction has resulted in dangerous weapons staying on the streets of Guyana. For this alone, I believe the police should be incarcerated. One brave individual should conduct a citizen’s arrest on the entire response unit of the Police Force in Region Two. Yes, I pray the Commissioner of Police is reading this, for he must understand that police’s inaction leads to vigilantism. Not only against criminals but also members of the Police Force. All for a cry for justice. My reasoning is that the businessman should take the Guyana Police Force to court for their inaction in hopes of substantial financial compensation. If only I was an attorney, I would not hesitate to do this case for free. This is also a call to the Guyana Bar Association. Someone please reach out to the businessman for all of Guyana’s sake.